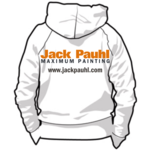 How is Jack Pauhl different? The differences make all the difference. Hi, my name is Brian Havanas. My background comes from 30 years in the painting trade. Broadly speaking, painting is a complex field. My role is to make sense of it and share that knowledge. The way I look at, talk about, and study painting, is very different from what mainstream painters are doing and I am content to hold that distinction. There are very few people who care to do what I do. It takes effort, time, money, patience, persistence and ambition to do it. My focus is to understand how everything connects then articulate everything and make it understandable for the industry and trust people will be interested and learn from it. If they’re patient, they’ll understand. Anyone can adapt and learn new methods and different ways of thinking, but it takes an effort. If I have to convince you that you should be interested in this thing we call painting, I can’t really help you. My audience is people who are already interested and know there is more to painting than what everyone else is doing or teaching. Maybe you’ll read something and get interested, and thats good, but I am not here to spoon feed anyone. I am not here to get you from ground level basics to standing on your own. Let somebody else get you ready for what you'll discover here. There are many sources catering to that person and its important to learn the very basics. It seems nobody is addressing the pro’s who have been in this business for a length of time. They already know about painting and have a sense there is more to painting than what they’ve been doing. They know they are missing something and want to learn more and want to be challenged. They want to think and they don’t mind thinking. They know its a good thing to master the craft. Those are the people I am looking for and if that makes me unpopular with the other crowd, well, that just comes with being on different paths. If you're tired of hearing the same old stuff or tired of being misled into costly mistakes, this is where you should be. If you share my passion with the trade then I encourage you to get in touch with me. I have received thousands of testimonials since I have been doing this. The stuff I talk about works. It is very valuable. It does make a difference. But it also requires some effort to understand how it all works. Be persistent. Ask questions. Don't assume. You shouldn’t ever feel the need to question the credibility of the content, rather, you should question why you may not understand it. What you’ll discover is very different from what others are doing or teaching. I always have a pulse on the priorities of our industry by what is not being talked about rather than what is being talked about. When I am asked a question, I am going to give you an honest answer. It may not be the answer you want to hear, but it will be the answer you need to hear. I am asking you to rethink what we've been taught, or told, or read, or experienced about painting. I'll get you to familiar territory. You'll start to see more details, more clarity about things you are already familiar with. Things will start to make more sense to you. You will begin to start making connections on how everything needs to work. The dots will appear more frequently, you'll be able to connect them and I want you to see and experience how you got there.